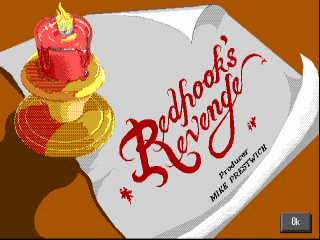 You can play Redhook's Revenge on this website so you don't need to download and install the game on your computer. We recommend to use Google Chrome when playing DOS games online. 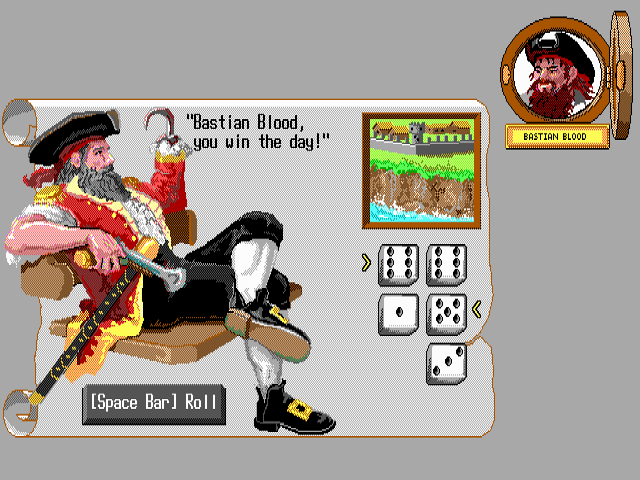 This is a liberated game: it was originally shareware but in late 2004 ImagiSOFT made the full version available as a free download from their website (please see the links section below). Are you ready for Redhooks Revenge, matey? Are ye fit to sail yer ship cross treacherous seas or will ye drown like rats in Poseidons depths? Can ye plunder more gold than Blackbeard hisself before ye reach Buccaneers Haven, or will ye wind up dryin in the sun at Execution Dock? If guts is what ye got, then quit yer squallin and give Redhook's Revenge a try, by thunder! Theres plenty of prizes, luck, and gold to roll, and to play duck and drake with ever after. 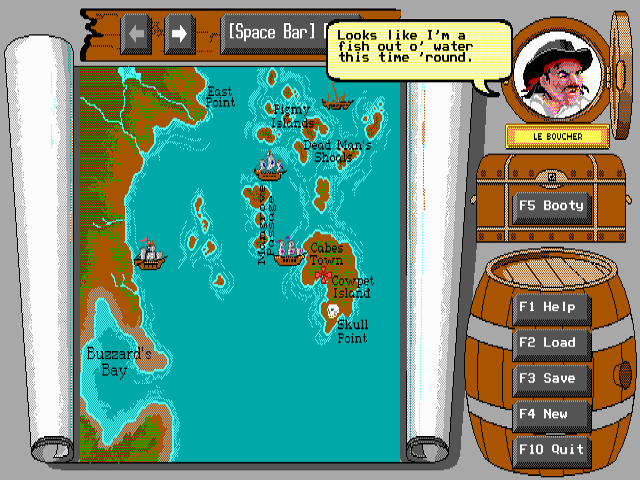 Redhooks Revenge combines the classic novel Treasure Island with the best elements of Monopoly and Trivial Pursuit into a unique edutainment experience. Players who brush up on ships, pirates, weapons, and nautical history will have a distinct advantage over their opponents. However, in the end, those with the most cannons will prevail.